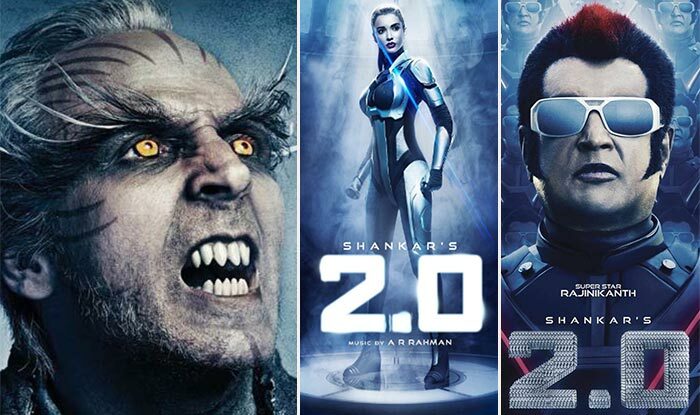 With due respects to ‘Thugs Of Hindostan’, it wouldn’t be wrong to call Shankar’s long-awaited spectacle about Man, Robot and Radiation the biggest letdown of the year. Take a deep breath when you enter the theater to see this digital-age mayhem. You need extra strength to make it through the cheerless cautionary drama. ‘2:0’ is a work of FX-driven misadventure that screams for attention. The larger-than-life combats between the robot Chitthi and the rampageous environmentalist Pakshi Rajan(so called, because he loves birds, isn’t that subtle?) are staged with the frenzied determination of religious rallies on roads orchestrated by red-eyed youngsters who don’t know any better. There is a quality of desperate anxiety to please audiences which ultimately reduces this film to an epic mess. When a film screams for attention the audiences recoils in embarrassment. Director Shankar, never known for subtlety, goes for the sledgehammer effect where every thunderous thud is driven home with a disdainful disregard for the audiences’ visual and aural sensory perceptions. While the plot pleads for environmental to be curbed it induces a noise pollution far more hazardous than any cellphonne related catastrophe. The soundtrack is obstreperous and Rahman’s music is sinfully soul-less. The anarchic narrative knocks you senseless with its senselessness. What on earth is the film trying to say about ecological imbalance? That the cellphones of the world must be annihilated from the world to save the planet? This thought- process is put through a grueling stream of clumsily-staged sequences showing mobs being devoured by thousands of cellphones. The villain Pakshi Rajan is not really a villain because… well… he’s played by Akshay Kumar. So the character’s outward ferocity, punctuated by makeup borrowed from ‘Friday The 13th’, is given a sympathetic backstory about a birdlover whose pleas for a reduction on cellphone towers is mocked by the powers-that-be. There is a telecom minister who makes so many sneering faces I thought the film had finally decided to get satirical about its message… But no… It’s all a serious business. This post-intermission interlude of about 15 minutes when we see Akshay as the caring bird-lover is the only chunk of the sprawling unwieldy narrative that has an emotional grip. The rest of the film feels as robotic as Amy Jackson’s performance. That she actually plays a robot doesn’t matter. Every actor seems to have been given the brief to pull out all stops. The agonizing film has hundreds of junior artistes who have to look startled/scared/traumatized. I’ve never seen a mob of actors hamming so much, and enjoying it to the hilt. Alas, we cannot bring ourselves to share the mob’s enthusiasm even when we get two Rajinikanths for the price of one. The novelty of the double deal wears off within 15 minutes as director Shankar unleashes a bloodless tide of chaos and incoherence seldom witnessed and scarcely tolerated.